Drawing on our recent experience renovating a property in Mount Druitt in New South Wales, it is clear just how big the impact of tax and depreciation can be. If you own an investment property and you’re not focused on the benefits and impact of tax and depreciation, you need to put it firmly on your radar. Coupled with competitive mortgage interest rates, smart buying, effective management and good tenants, it’s critical to the performance of your property and property portfolio. Done correctly, depreciation can make a massive difference to the performance of your portfolio, your tax position, as well as your ability to expand your portfolio via additional purchases. I work very closely with our accountant to ensure we receive maximum tax effectiveness within our portfolio, and helping to manage the depreciation component of that is important. I don’t attempt to do our own depreciation schedule, nor does our accountant do it for us. Our accountant works directly with our depreciation firm to arrange and process our reports, which frees up considerable time at my end and gives me the confidence it has been done right. As I’ve mentioned a number of times, I work very closely with our team of property specialists to help manage our property portfolio: our broker, buyer’s agent and accountant. They all share a relationship with each other independent of myself, which means many questions can be answered without my involvement. Considering they have worked closely to create and implement our buying strategy, I have faith in their decision-making abilities. Our accountant is able to effectively interpret our depreciation reports and translate them into language that is easy for me to understand from a taxation perspective. They also undertake the work required to factor the depreciation into our properties when assessing them on a case-by-case basis, as well as within the context of our annual tax return. Many investors can become bewildered by depreciation, seeing it as something that’s not straight forward, but technical, with so many laws, bylaws and other associated conditions. This is true to a point. Depreciation rulings are always changing at the tax office and your average investor will struggle to keep up with it. It makes sense to outsource this component of property investment – the specialists will not only do it infinitely better than you, the time you save doing it yourself will easily outweigh the cost of the report. To highlight the depreciation process, as well as the potential impact of depreciation on your portfolio, I asked Bradley Beer, the managing director of BMT Tax Depreciation, to create a depreciation schedule for the property we recently renovated in Mount Druitt, New South Wales. You’ll remember this as the property we undertook our one-weekend renovation on. 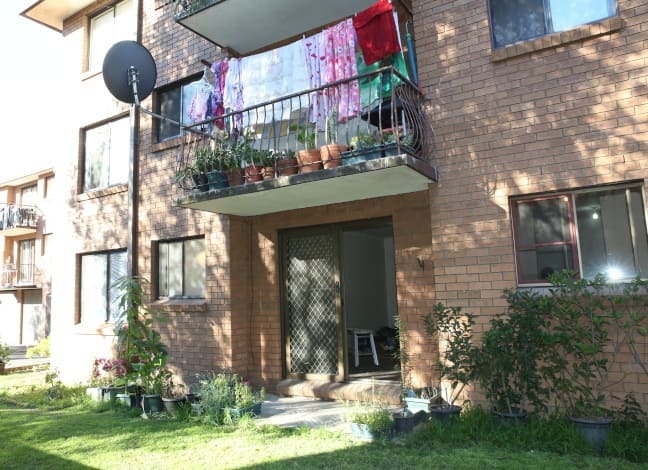 We set ourselves a budget of $15,000 to fully renovate the apartment – new kitchen, laundry, bathroom, as well as new flooring, blind fittings and a fresh coat of paint throughout – with a view to boosting both capital value and rental return. From the initial demo and hard graft through to the final staging and appraisal of the property, the whole Smart Property Investment team, plus family and friends, pitched in. It was a tough weekend, but we got the job done to budget. Our depreciation specialists followed our progress in order to undertake the assessments to make their report. As you’ll read below, there’s a lot to consider, and I’m sure you’ll agree with me that when taking into account the technical nature of depreciation, it makes a lot of sense to turn to the experts. I hope you enjoy Bradley’s insights and analysis of our Mount Druitt renovation. I’d like to remind you to feel free to contact me at [email protected] should you have any questions about this project, or any other property in our portfolio. Many investors renovate with the intention of adding capital value to their property and increasing the rental return, but they are often unaware of the additional tax deductions that become available when renovating. The Australian Taxation Office (ATO) allows property investors to claim a deduction due to the wear and tear of a building structure and its fixtures over time. This claim is called depreciation. Though investors can claim depreciation on any income producing property, it is particularly important to factor in depreciation during a renovation. Assets removed during a renovation project can be worth thousands of dollars and their value can be claimed as a 100 per cent deduction. Renovations can provide significant deductions over and above those received during a normal depreciation claim. The owner can claim a deduction for any depreciable assets that are removed and disposed of. This process, called scrapping, allows investors to claim the remaining depreciable value of items removed from a property as an immediate tax deduction in the year the item is scrapped. When renovating, a tax depreciation schedule must be completed before any work is started, as this schedule will support the owner’s claim. Prior to completing the tax depreciation schedule, a quantity surveyor should always arrange a site inspection of the property to correctly assess the items contained within the property and take photographic records before the items are removed. When an owner is deciding which parts of their investment property to renovate, they should consider the depreciation deductions that will become available once new items have been installed. Choosing which assets to install when renovating can make a substantial difference to the deductions the owner receives in future tax returns. This is because the depreciation available for each asset is calculated based on its individual effective life as set by the ATO. As an example, the deductions available in the first full year depreciation claim for carpets, floating timber floors and tiles differ quite substantially. If an owner has decided to install new flooring to the value of $2,000, but is unsure which flooring type to install, the deductions that will become available to them may assist in making a decision. By choosing to install $2,000 in carpets rather than floating timber or tiles, the owner will earn $400 in depreciation deductions in the first year. This is in comparison with $267 in depreciation from floating floorboards or $50 in depreciation from tiles, assuming the first year is a full financial year. Discussing your options with a reputable quantity surveyor will make the process easy. After a renovation has been completed, a second tax depreciation schedule should be prepared. This schedule should detail the depreciation deductions available for all newly installed plant and equipment assets or capital works expenditure, as well as the depreciation deductions for any original assets remaining. The following scenario highlights the additional deductions received following the renovation of the Smart Property Investment Mount Druitt property. The property, originally constructed in April 1989, was purchased for $179,500 in late 2011. Smart Property Investment engaged the services of a specialist quantity surveyor when it purchased the property, to prepare a depreciation schedule. The original schedule found Smart Property Investment could claim $2,361 in depreciation deductions in the first year of ownership, with additional deductions in following years, as outlined in the following table. Remember, the total depreciation available detailed below does not take into account any renovations to the property. The depreciation estimates in this table are calculated using the diminishing value method of depreciation. In the middle of 2013, Smart Property Investment decided to renovate the property, seeking to increase cash flow and capital value. Smart Property Investment kept the renovations as cost effective as possible, in line with their overall aims and objectives. Spending more on a renovation for the purposes of generating greater tax deductions was not their intention. To ensure the depreciation claim was maximised, there was no benefit in spending more money than necessary. Smart Property Investment spent $14,795 on claimable assets during the renovation, including depreciable items such as blinds, carpets, light shades and bathroom accessories, as well as completing other substantial works in areas of the property. Once the renovations were completed, BMT Tax Depreciation performed an inspection of the property to identify the assets from the original report that had been removed, and to note any new assets and structures that had been installed in the property for the new depreciation schedule. The below table outlines Smart Property Investment’s depreciation claim post-renovation, including the depreciation it was able to continue to claim for assets retained, the remaining depreciable value of scrapped assets claimable in the year of the renovation and the depreciation that could be claimed for new assets and structures installed in the property. As can be seen from the two tables (pre- and post-renovation), Smart Property Investment is able to increase its total cumulative claim from $37,923 to $52,718. They are also able to benefit from an additional immediate write-off of $3,541 in the third year of owning the property for assets that were removed from the property and scrapped. This increased the third year claim from $2,372 to $6,637. As an example of a particular asset, the carpet within the property was valued at $981 at the time of purchase. There was $288 in depreciation claimed prior to the renovation, leaving a residual value of $693 at time of scrapping and disposal. Smart Property Investment was able to claim the residual value of $693 for this carpet in full in the year it was scrapped and removed. The new carpet was installed and depreciation claimed in future years.